Reduced price! € 45.00 tax incl. Germinate your seeds without any trouble with this easy Zambeza Micro Propagator Plus germination kit. This kit regulates best environmental conditions for optimal growth with an LED grow light and thermometer strip, plus a bag of perlite. The propagator measures 13x10x13cm. Ideal for beginners and small grow-ops, also suitable for clones. 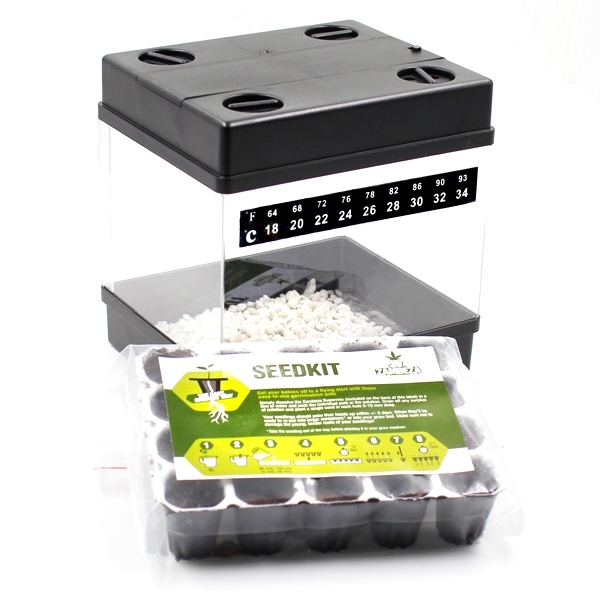 Also includes the Zambeza seed kit which contains 15 easy germination pots and everything you need to get your seeds off to a great start and fits in neatly into the Micro Propagator. 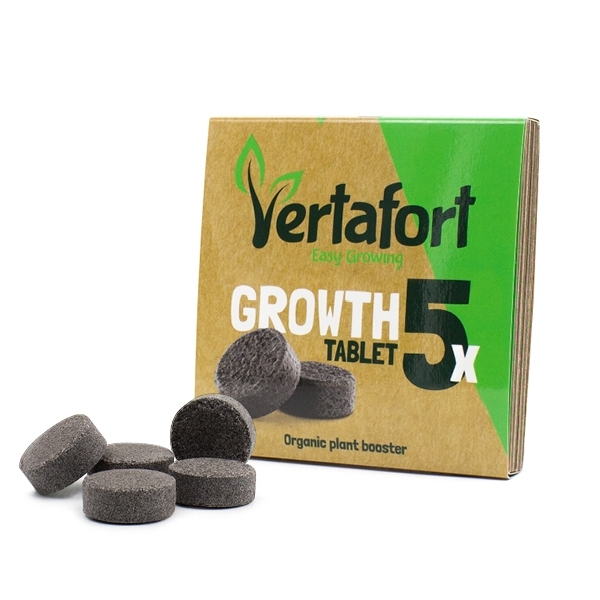 Vertafort is filled with time-release technology which takes away the need for complex nutrient schedules. 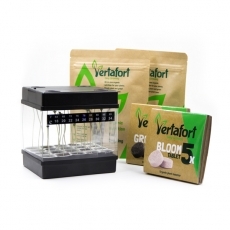 Vertafort will release feeds for your plant and keep them strong and healthy for 10-12 weeks. 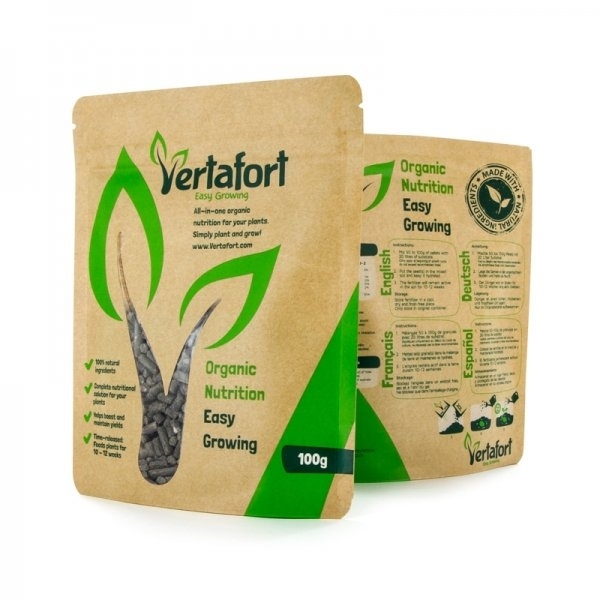 It is an entirely organic and natural nutritional system which can boost the growth rate of your plants in a highly efficient and simple way. It can't be simpler: mix Vertafort into your substrate and watch your healthy plant grow! 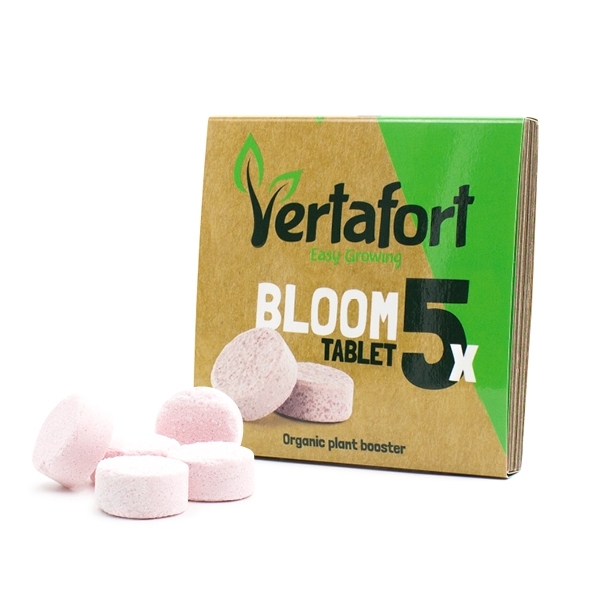 Vertafort Booster Tablets Mix Pack is an integrated set of boosters. Its growth and flowering formulas are designed to provide all macro and microelements plants need to stay healthy up to a rich harvest. Start with the Growth Booster for an optimal nutrient intake all over the vegetative phase. Then water your plants with the Bloom Booster mix for maximizing buds density in the flowering phase.